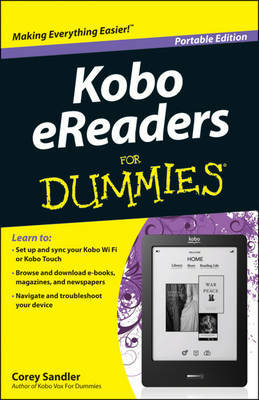 Kobo eReaders For Dummies provides the information a new Kobo user needs to get the most out of their device. It also shows off some of the Kobo's lesser-known features and even covers troubleshooting and tips and tricks for the Kobo e-Reader. This book covers: INTRODUCTION CHAPT... read full description below.